Leading-edge technologies such as artificial intelligence, humanoid robots and applications of virtual reality shift the boundaries between humans and technology. CeBIT is the only event in the world to present the digital transformation in its entirety, showcasing real examples and best practice. 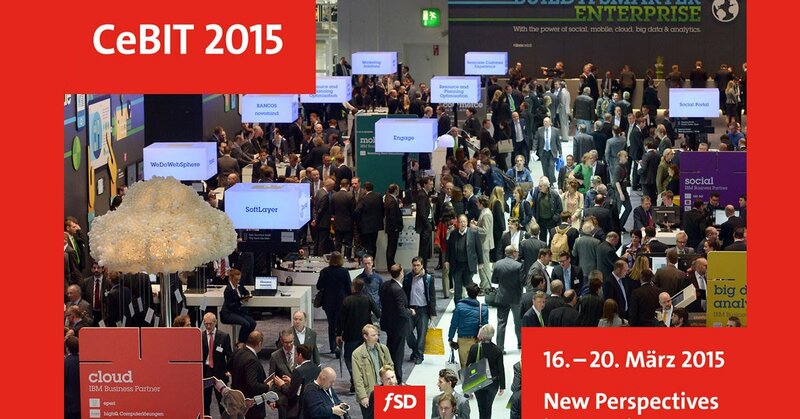 FSD will be at the upcoming CeBIT 2015 in Hannover on stand G42 in Hall five. If you are interested in getting to know us and our products during the fair at our booth, please contact us, FSD will provide you a ticket for the occasion. CeBIT 2015 will be held 16th-20th March 2015. For more information about the fair, visit the official website cebit.de.